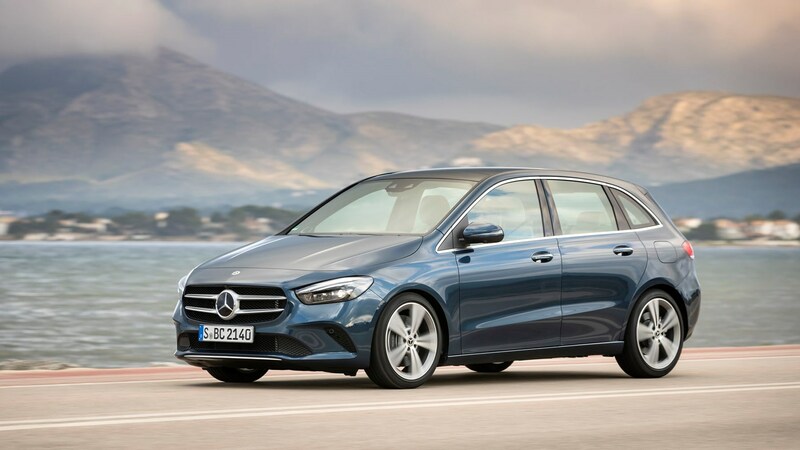 For those who want the raised-up driving position of an SUV but don’t fancy owning something with the imposing looks of 4x4, the Mercedes-Benz B-Class provides a convenient middle ground. Based on the same platform as the A-Class hatchback, it offers customers a five-door, five-seat compact MPV (multi-purpose vehicle) that directly rivals cars such as the BMW 2 Series Active Tourer and Volkswagen Golf SV, and, to a lesser extent, the Renault Scenic and Ford C-Max. 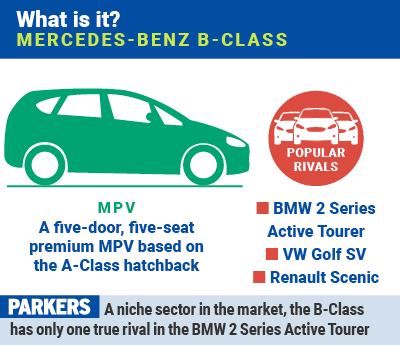 The questions for many buyers, then, will surely be whether the B-Class is worth the extra cost over ‘less premium’ rivals that fulfil largely the same brief, and indeed, if it offers anything over the regular Mercedes-Benz A-Class hatchback. It’s clear from the moment you step into the B-Class that its cabin is a vast improvement over the previous generation car. 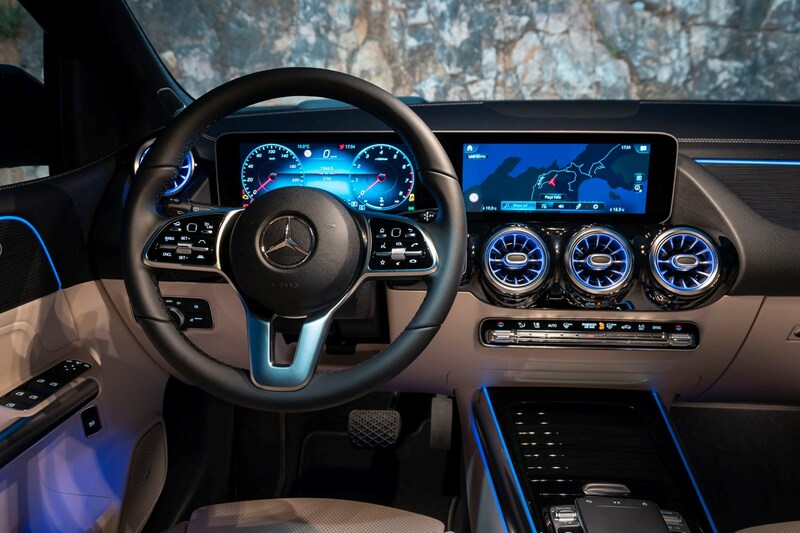 Gone is the dated, button-heavy design, replaced by a crisp, high-tech environment shared with the A-Class hatchback. For outright wow-factor, it’s hard to argue against it being best-in-class. Two primary screens dominate the dashboard and offer up crucial driving information as well as sat-nav, media and telephone services. The display positioned in front of the driver is controlled by a small (and slightly fiddly) touchpad on the steering wheel, while the infotainment screen on the left can either be operated by touch, or by a mousepad-style controller mounted forward of the armrest. The latter looks and feels premium, but doesn’t work quite as well as a physical rotary dial. It’s not enough to spoil the experience, though, the MBUX infotainment system having the most comprehensive functionality in-class along with the 2 Series Active Tourer. Overall material quality is strong, and although there are some harder plastics on show they’re well-hidden and out of sight of the driver – aside from the tacky indicator and gear selector stalks. Sitting behind the wheel of the B-Class you’re treated to a wide, comfy seat with plenty of adjustment (electric seats are optional). You get a raised driving position that gives you a better view out than the average hatchback driver, but it’s not so high as to make you feel you’re sitting atop a tank. 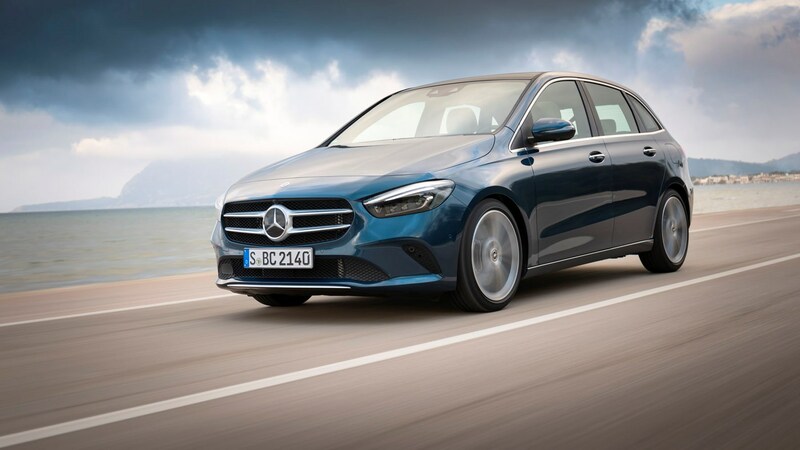 From launch, the B-Class will be available with a choice of five different engine variants, all of which come as standard with front-wheel drive and a DCT automatic gearbox – either with seven or eight speeds. 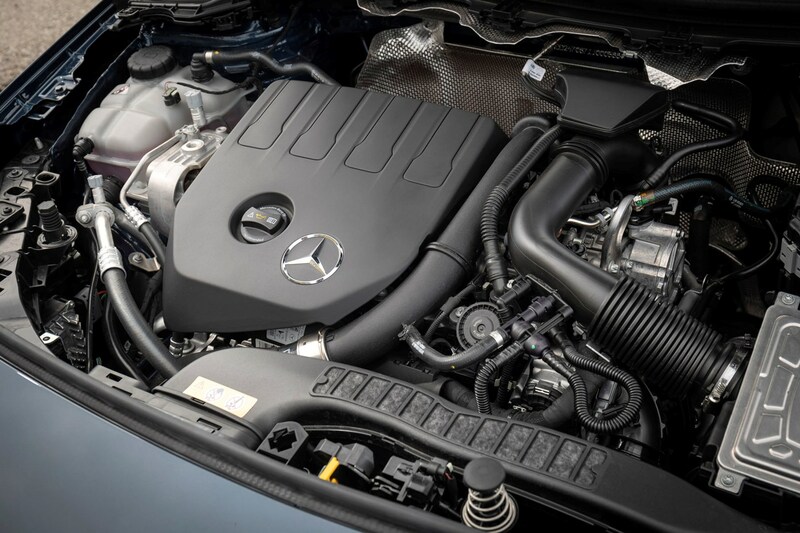 If you want a petrol engine, there are two variants on offer – either the 136hp B 180 or the punchier 163hp B 200, both using a 1.3-litre four-cylinder turbocharged motor. Despite the gap in performance, fuel economy and emissions are identical at up to 43.5mpg (claimed average) and 124/g/km of CO2. For those who plan to do big mileages with their B-Class, one of the three diesels versions will likely be a better fit. 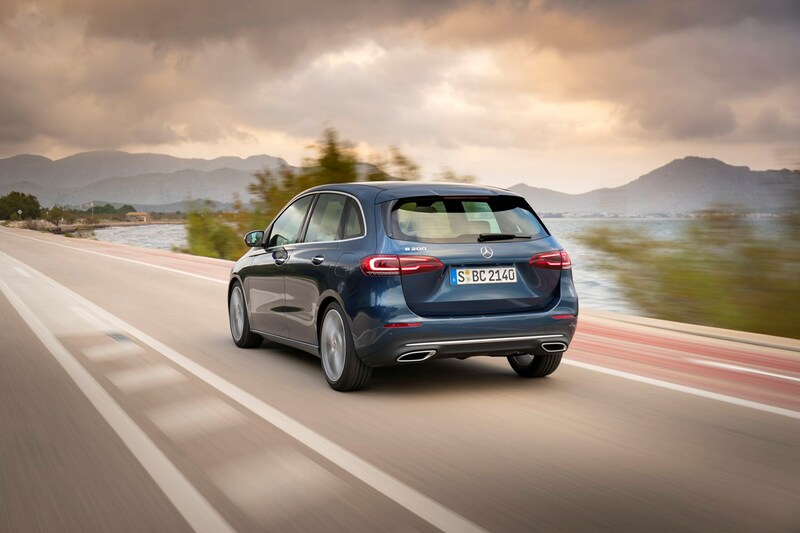 Options include the 116hp B 180 d (1.5-litre four-cylinder diesel), 150hp B 200 d and 190hp B 220 d (the latter two powered by a 2.0-litre four-cylinder diesel). So far, we’ve only driven the 2.0-litre diesels variants, both offering plenty of performance and good refinement levels. All of the versions we’ve driven so far have had the more advanced multi-link rear suspension that comes as standard on AMG Line cars. With this fitted, the B-Class has a comfortable, balanced ride, although it could be a touch more absorbent over sharper bumps. The flipside of this is handling that is predictable and blessed with plenty of grip, but also dull when driven quickly. Rivals such as the Ford C-Max offer a more entertaining drive. 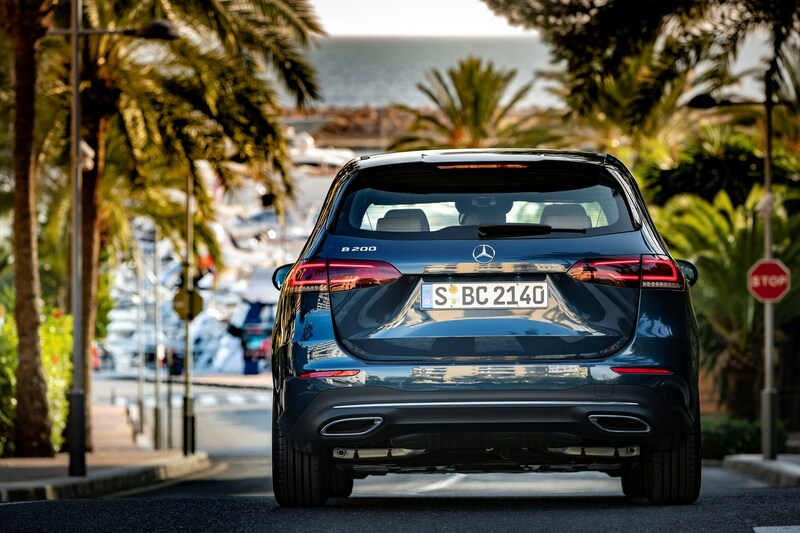 Low-speed handling and manoeuvrability around town – likely of greater consequence to most B-Class buyers – is impressive thanks to a tight turning circle and raised-up driving position. A-pillar blindspots are noticeable, however, and do affect visibility. Buy a B-Class and you can rightfully expect to have extra bootspace over the A-Class hatchback. 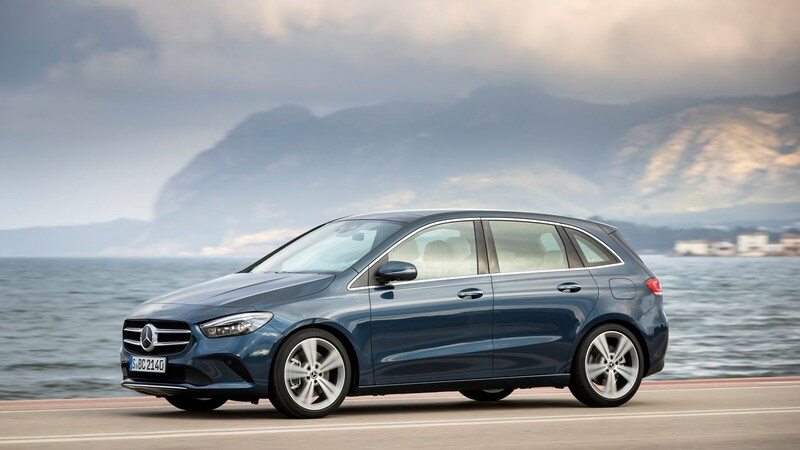 Whereas in the latter you can fit a respectable 370 litres with the seats up and 1,210 litres with the seats down, the B-Class can take 455 and 1,540 litres. The loadbay itself – while a bit high – is a useful shape with a flat floor and lots of handy extras such as a 12-volt socket, shopping bag hooks, netting and straps for larger items. An electronic tailgate and rear seats in a 40:20:40 split are available as options. 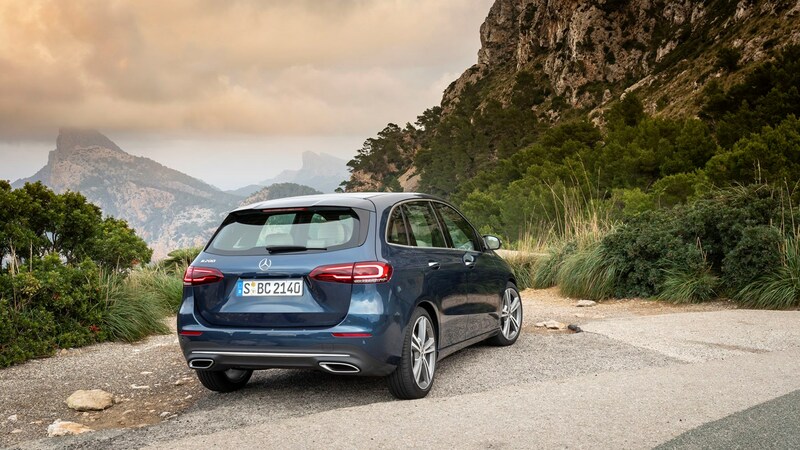 You will get more bootspace out of a Volkswagen Golf SV or BMW 2 Series Active Tourer with the rear seats in place, however fold them down and the B-Class has the edge on outright luggage capacity. 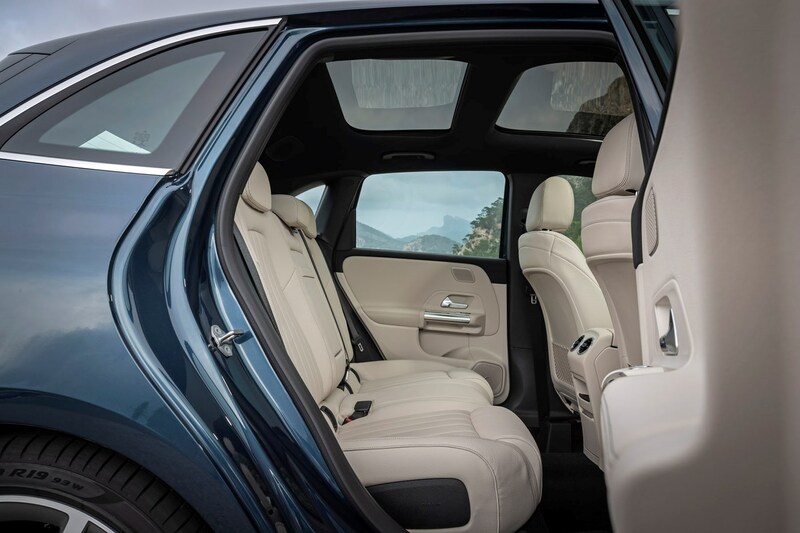 Across the outer rear seats there’s useful amount of legroom – even with a tall driver and passenger – plus headroom is adequate for anyone under 6’3”. As is often the case, however, the middle seat is best kept for kids. It’s quite narrow and the central tunnel running through the car robs any kind of foot room on offer. 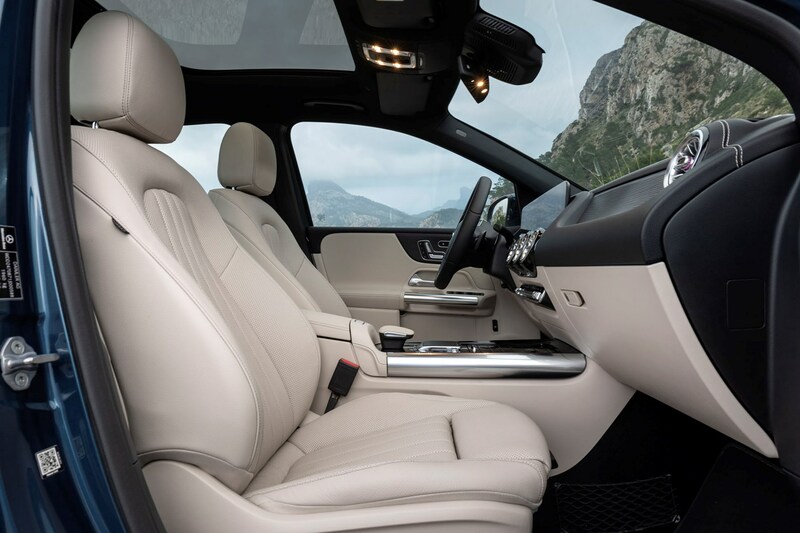 All-round storage capacity is generous thanks to two large door pockets up front, a deep armrest compartment, decent-sized glovebox and two sizeable central cupholders. Meanwhile, rear seat passengers benefit from moderate-sized door pockets plus 12-volt and USB sockets. We’ve only driven a small section of the B-Class range so far and have yet to see any details on prices or spec. Therefore, our verdict, and the review as a whole could be subject to change as we drive more variants and discover exact pricing details. 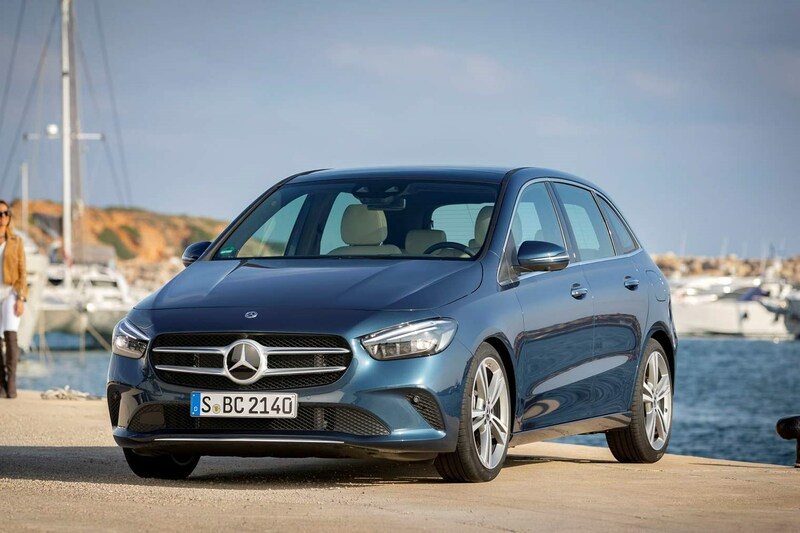 Whether you’re in the market for a compact MPV or a raised-up hatchback, the Mercedes-Benz B-Class is a serious contender at the premium end of the scale. It’s got a high-quality, high-tech cabin, a comfortable all-round drive and enough practicality to mean it can hack it when loaded up with people and/or luggage. How attractive it will be when compared to its rivals depends on the cash price and PCP finance deals, as well the level of standard equipment on offer throughout the range.